Hello and welcome to our family website. This is the online home of Jason, Michelle, Samantha and Emily Watts. Here you can read different articles written by Jason and Michelle and keep up with their family happenings. Welcome and we hope you enjoy the website. You can email Jason by sending email to: jasond.watts [at] gmail.com. I had to share this with everyone. It’s a really great introduction to animal-free eating and why more people should make this transition. If you want to learn more you can read more or watch more. Start your jorney today! Back in April, I posted about coming home to a beeping NAS. Well, it happened again. To the very same drive, I installed in April of this year! That’s right. 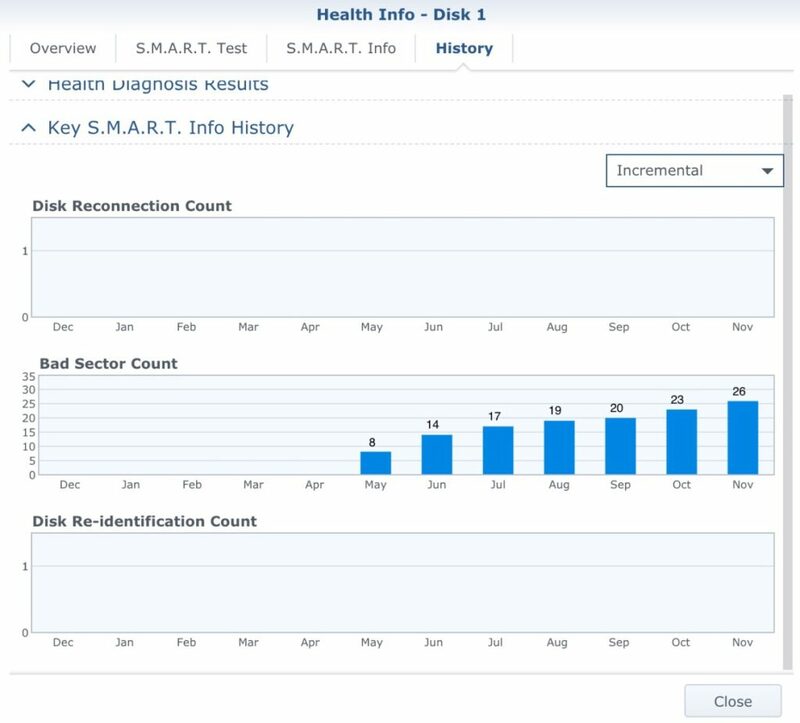 See the graph above from my Synology OS showing the increasing number of bad sectors on the HD over 7 months. I replaced the WD Gold 4TB drive with a Red 4TB 7200RPM drive. Hopefully, it will fair better. I also turned on a weekly in-depth test that will email me if anything really bad comes up again. While researching for this issue I noticed a lot of confusion in forums and on discussion boards stating that you manufacturers like Western Digitial will not take back a drive that has “a few” bad sectors. I don’t believe this is true. I have returned drives in the past for this same issue, just bad sectors. This drive had 26 which I consider being a lot of bad sectors. When plugged into my iMac it would not initialize at all. If you are not sure about sending a drive in for RMA, I encourage you to at least try it. Worst case scenario, they send the drive back to you. You only lost a bit of shipping costs, still cheaper than a new HD. Also, use common sense when looking at the numbers. My NAS said 26 bad sectors was fine, but I knew better. Don’t believe the system, after all the defaults for the number of bad sectors may be set to null or to 100. 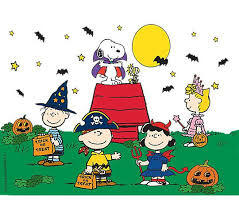 Wishing all that celebrate Halloween a festive holiday. Emily’s teacher read her storybook, Room on a Broom. Samantha integrated science and math into her class activity. Her class carved a pumpkin and did all sorts of fun measuring activities with the pumpkin’s seeds and slimy interior. Need log more content related to my exercise, organization, and health foods woes. Not necessarily woes, but challenges I encounter to make these goals a reality. Know I need to be accurate and accountable with my tasks, then my fitness efforts and eating habits will become a successful daily habit. Integrating healthy lifestyle choices is invigorating and results in hugely positive outcomes. I’m grateful for a supportive community and appreciate that I have access to local fitness studios, a pleasant climate, and grocery solutions that aid in my desire to improve myself. First-up is a resource I’m a regular at is Core Power Yoga and the invigorating workouts offered: https://www.corepoweryoga.com/blog. Everything falls into place…it’s a sequence, by maintaining a set schedule, then the positive possibilities are realized. I noticed that I have more energy and want to organize and improve in other areas of my regular routine. We just got back from vacation and after turning back on NAS I get beeps! Not what you want to hear when powering on after a week of having the server off. So new hard drive is ordered and I’m $200 dollars poorer, but all my digital files will be a little safer in a few days. Disk 1 is the drive that went out and it was the first one installed of course so, makes sense I guess. 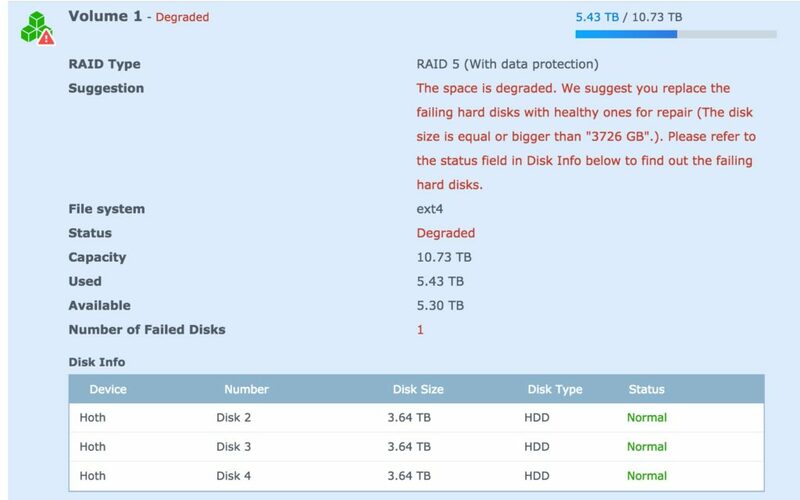 The best part is because of RAID 5 nothing was lost and the system continues to run. Michelle has been posting more than I have on this site that I created. I just moved the domain to this site from Bluehost to google domains. Bluehost is 15.99 right now and you have to pay extra for hiding your address information. For 12.99 google includes the privacy information. I’m still hosting at Bluehost because that’s just easier. In addition to that, I updated this site and dropped off things that didn’t make any sense anymore. I still need to update the pictures of the family on the about page. I’ve stopped updating history podcast since my job responsibilities have increased dramatically in the past few years. I have started another blog that is updated when I have time called Jason Reads. That site is all about the books I’m reading and I love that site! It gives me the space to write about the books that I am reading and share with other readers. I don’t know a lot of real readers. There are only a handful of readers at work and I’m so busy there I don’t have time to talk about that. Goodreads and Jasonreads gives me the places to talk books! Thats all for now, I hope to use this space more often, but no promises! Highlighting ballad renditions from some of my favorite fantasy classic films – The Wizard of Oz and Peter Pan. My Grandma Georgie just celebrated her 89th birthday. We celebrated her birthday at a weekend family gathering. Always fun to visit with my grandma. I had the best childhood summer with her at Lake Almanor. From daily mass to afternoons at the lake, I look back on those summers fondly. I learned how to swim well, drive/ride a SeaDoo, appreciate nature, walk, play with cousins/friends, and master Scrabble and card games. Summers at Lake Almanor were a family tradition. We would visit Mount Lassen National Park and/or Burney Falls. Such beautiful scenery is within the state of California. For those of you unfamiliar with where Lake Almanor is, it’s a two hour drive northwest of Reno, NV. Happy birthday grandma you’re 89 years-old now! I made a photo book for her from photos from the 1940s, 1950s, 1960s, 1970s. She’s going to love the 76 page album. For the last decade, I have not had a regular workout routine. Enough of that! I’m now carving fitness into my daily routine. My fitness is now yoga and circuit. I need to push my body to become fit yet again. Being conscious of the foods I eat and choosing healthy habits will help in my aim to have an all-around fitness track back in sync. Want to check back on this post and log the health improvements I’ve attained. I’m tracking my stats with my fitbit watch. For over a year now, I have been making Blue Apron https://www.blueapron.com/ meals. Blue Apron is a weekly meal subscription box where the recipe sheets and all ingredients in the right portions are included. You basically only have to have salt, pepper, and olive oil on hand. Anyone remember the Food Network host, Rachel Ray, and her constant mention of EVOO – extra virgin olive oil. I go through so much olive oil now. The meals are diverse, so it definitely gives us a nice variety. Samantha and Emily are not fans of Blue Apron – it does expose them to a wider mix of food options though. Desperately trying to make healthy meals for my family. I’m trying to get more fit too, but that’s another entry.